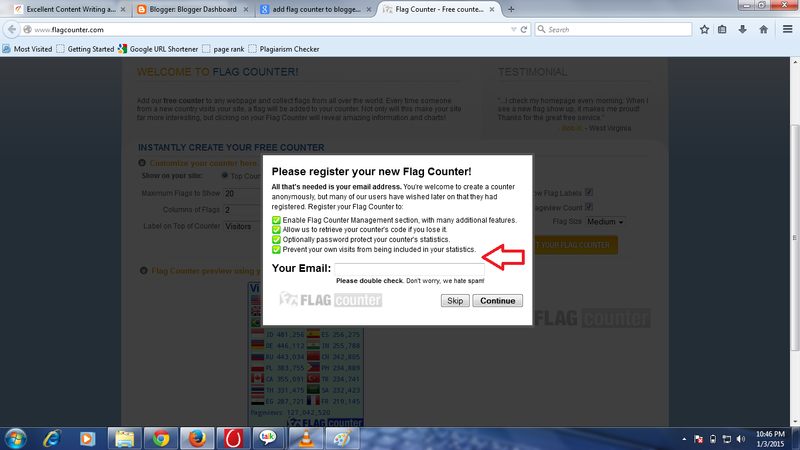 2.Now click on Get your flag counter button, it open a pop up. enter your blog email Id in this box. 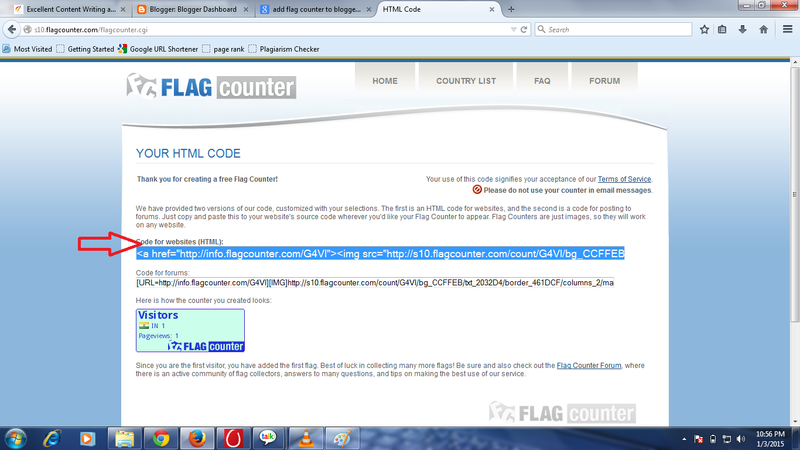 3.Now copy the html Code and go to blogger dashboard. 5. Give the Title as you wish - like as - Visitor for Country. 6. Page the HTML Code in content box and save it. 7 Arrange it side bar. Now you got the flag counter on your Blogger. Enjoy. you may also like to read ; How to add contact form on blogger page? 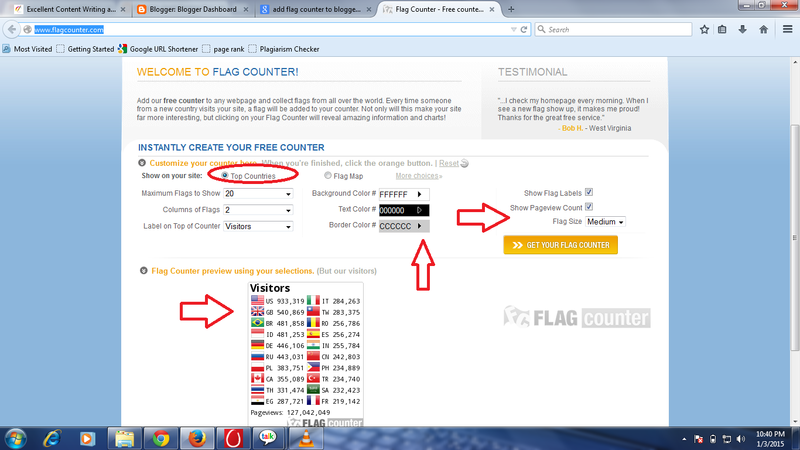 Labels: How to Add Flag Counter on Blogger?